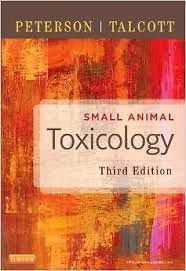 This revised and expanded reference is a valuable aid for the practicing veterinary clinician in diagnosing and determining treatment for toxic exposures in small animals, and for veterinary students as a supplement to their classroom instruction. It contains chapters addressings nontraditional areas of toxicology not covered in conventional toxicology texts. It also covers areas of toxicology which seem basic but are rarely discussed, such as taking a toxicological history, establishing a minimum database, providing supportive care, and managing emergency treatment of the poisoned patient. The book is organized into three sections, including 20 new chapters and new topics such as grapes and raisins, lilies, "Christmas time"Plants, mercury, and accidental poisoning in non-traditional pets.